If there’s one thing I’m really good at, it’s being late. Better late than never? Regardless, here’s a couple of things we did for the big ol’ day of love around here. Miss Little’s Valentine’s box had to be out of recycled materials this year–meaning it had to be from a cereal box, oatmeal container, etc. 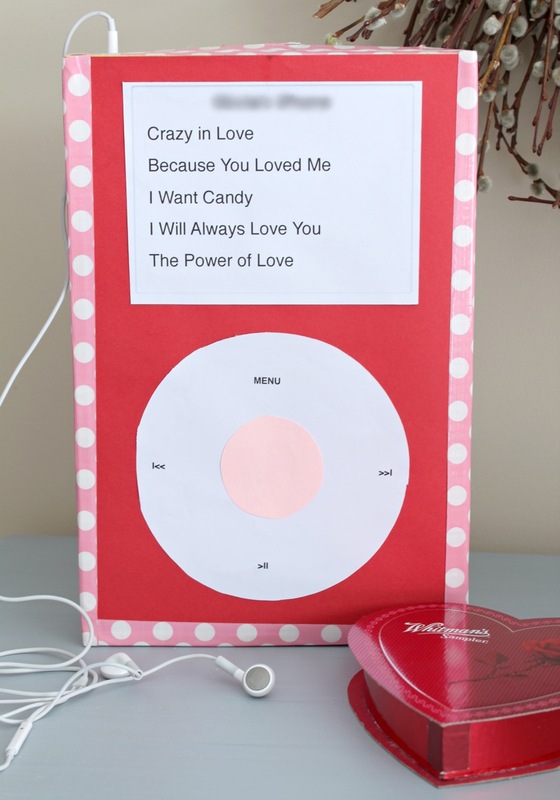 After looking around and putting some ideas together, she settled on an Valentine’s iPod box. Oddly enough it was actually one of the easiest projects. Good girl. 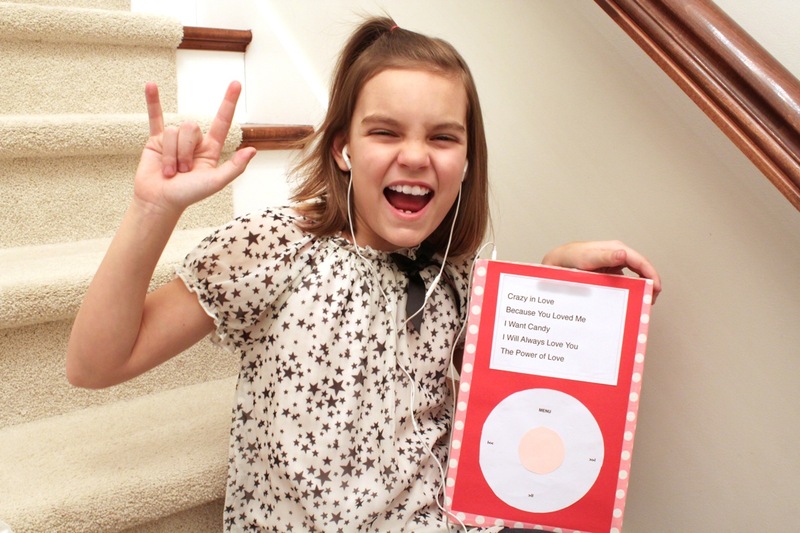 She was pretty thrilled with it and had fun rocking out to some tunes. 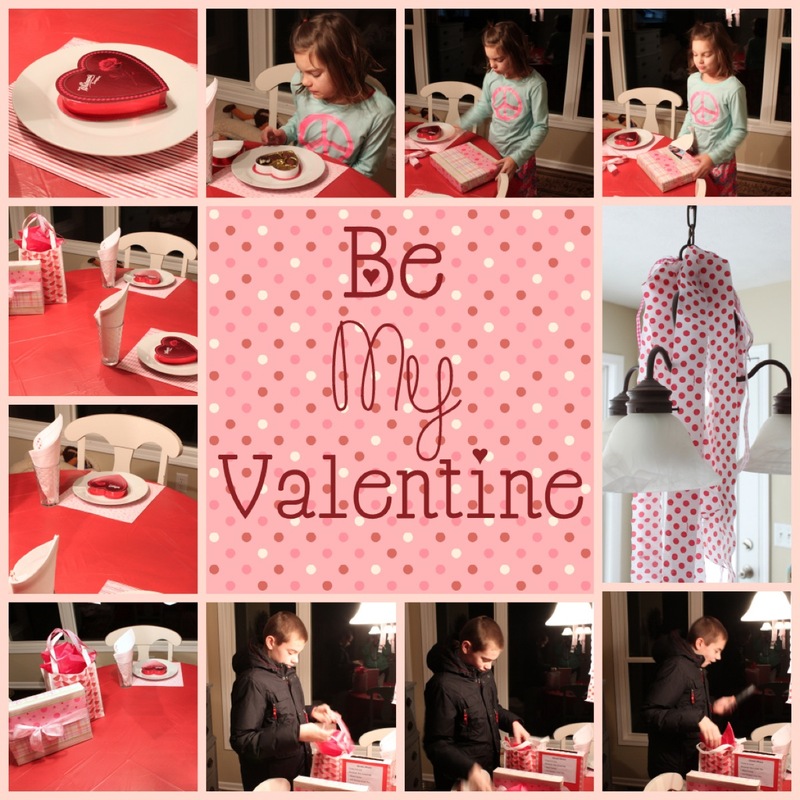 I surprised both kiddos with a Valentine’s breakfast on the big day. Unfortunately, breakfast is at 6am, and it’s not exactly bright out at that time. It’s super dark and there’s some bed head in there, but they both loved it. Nothing better than making your kids feel special on Valentine’s Day. I hope you had a great day too! Super cute idea – pinning this for next year! 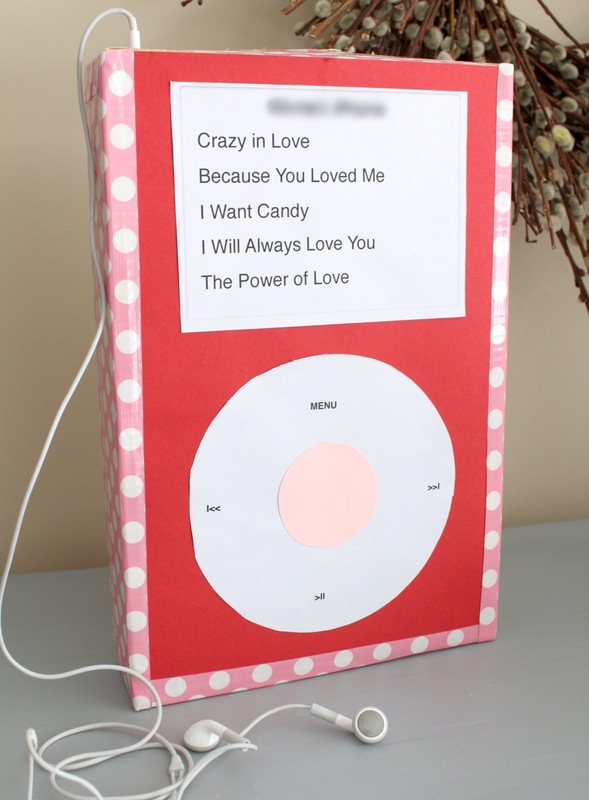 That really is an adorable idea for a Valentine’s box! Plus a special Valentine’s Day breakfast to boot – your kids are really lucky. I’d say this is a very creative and practical idea. I can’t wait to apply this idea to my kids too as I’m sure they would love it. After all, they’re gadget lovers and this idea would really surprise them. Just looking at the pictures you posted and how your kids love this surprise, I know my kids will love it too. This is way cheaper and way good-looking than an actual ipod. Thank you for the idea!